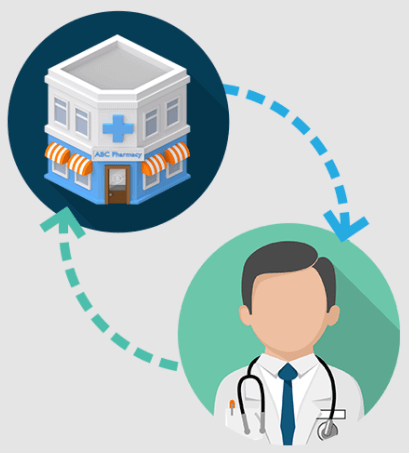 MedAdvisor & Healthnotes have come together to provide you with the simplest way to improve Customer Loyalty and drive Health Services, available in one comprehensive platform. 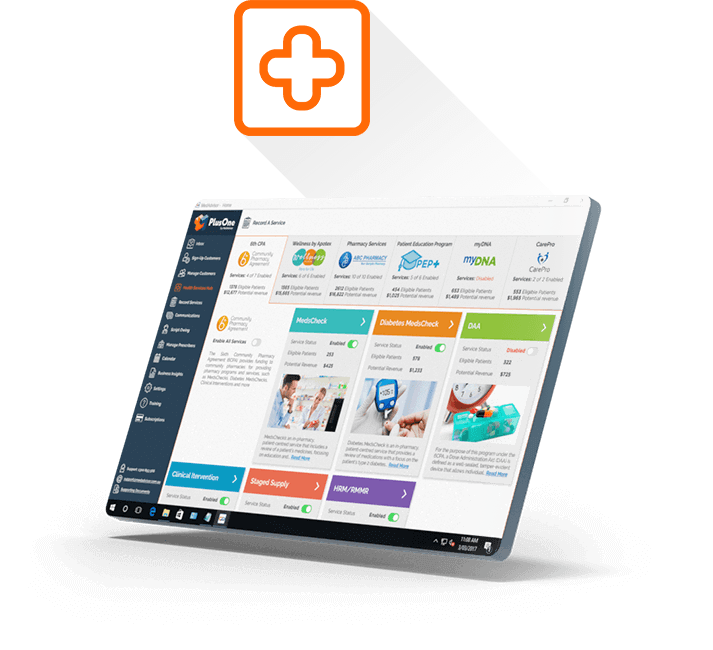 Offer your customers an exceptional pharmacy experience with MedAdvisor, Australia's favourite medication management App. 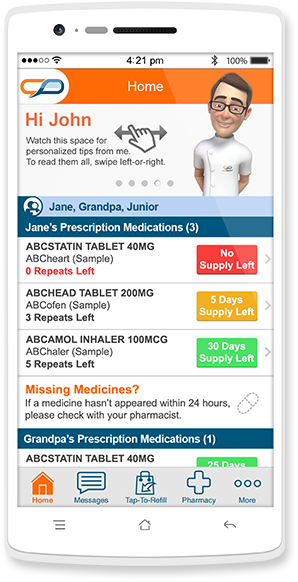 Customers can view their medication list, receive script reminders, place orders in advance and more. You can also send customised messages to stay connected even between visits. Customers using MedAdvisor are 97% loyal to their favourite pharmacy and experience ~20% improved adherence, leading to increased revenue of $200 per customer for your pharmacy. Helping you make the most of the revenue opportunity services provide, the NEW Health Services Hub uses the power of data and automation to make driving demand for services and unlocking revenue simpler than ever. Record the interventions, all from PlusOne. Available from March 2018, this revolutionary feature will allow you to access programs from the 6CPA and third-party sponsors, starting with Flu vaccination. 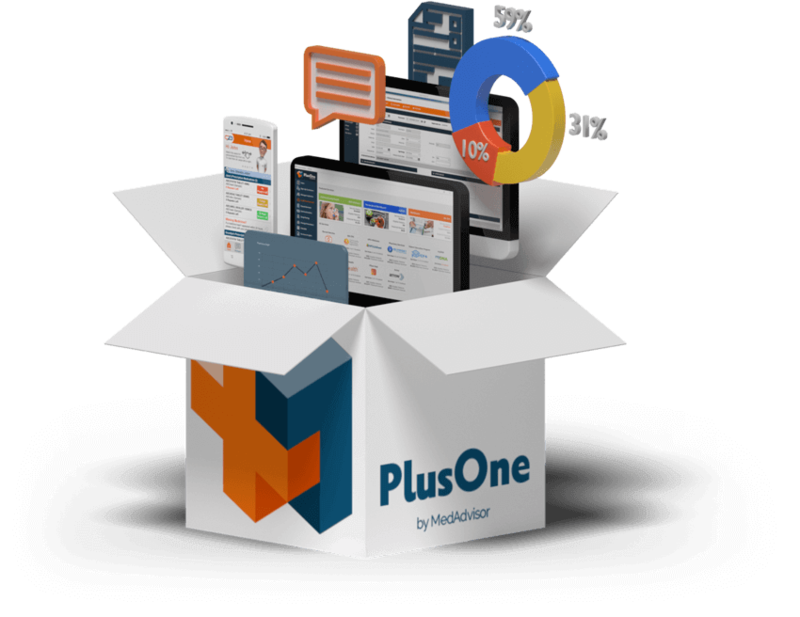 With over 6,000 GPs receiving script requests from pharmacies via the PlusOne platform, the popular Script Owing feature is the most effective way to minimise the number of owing scripts for nursing home and DAA patients. 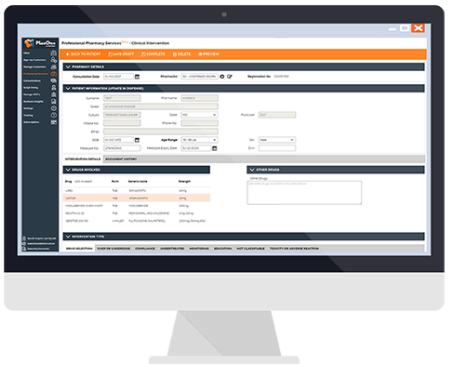 Script requests can be sent via fax or secure web portal, providing GPs with a simple way to receive, manage and action requests.